Bob Barnes retired from Northrop Grumman after 41 years of service and was the Manager of Lean Initiatives and Best Manufacturing Practices for Northrop's Electronics Systems Sector. With over 30 years experience in the electronics industry, he has worked in numerous technical and managerial roles stressing innovation in manufacturing competitiveness. He is currently the Chairman of the Governor's Advisory Commission on Manufacturing Competitiveness for the State of Maryland. The commission recently completed a detailed broad based analysis of Maryland manufacturing and submitted its report including recommendations for the future. Bob has served on the board of directors of Xetron Corporation and Norden Systems and is involved in many organizations benefiting Maryland's youth, such as Junior Achievement, and the engineering profession, including the American Society of Mechanical Engineers. Bob is a graduate Mechanical Engineer of Virginia Polytechnic Institute and completed the Executive Program at the Darden Business School of the University of Virginia. Bob is active in a number of local and national industry associations, which enable him to benchmark many facilities throughout the U.S. and other countries. Dr. Minerva Devera has worked for over 30 years in Quality Control/Quality Assurance and Operational Excellence at various companies in the Pharmaceutical Industry. She has been in leadership roles for over 25 years. She currently holds a position at Emergent BioSolutions as the Director of Operational Excellence (OE) and is a member of the global OE Leadership team implementing OE at multiple sites. Dr. Devera has a Bachelor of Science degree in Biology; a Master of Science in Quality Systems Management and a Doctorate degree in Business Administration focused in Quality Systems Management. She is a member of Parenteral Drug Association (PDA), Association for Manufacturing Excellence (AME), International Toastmasters Club and Maryland World Class Consortia. She has been a member of MWCC since 2010. She is an active participant of the MWCC Lean Peer Group for over 4 years. Dr. Devera is active in facilitating Lean Workshops, facility tours and speaks at seminars. She is a proud mom of two boys, Ronald (Doctor of Medicine) and Joseph (Doctor of Physical Therapy student). Leslie Gilbert works for the Department of Defense and is responsible for mentoring organizational continuous improvement projects, facilitating kaizen events and training staff in continuous improvement techniques and Lean Six Sigma Green Belt classes. Ms. Gilbert has worked in several industries including aerospace, biotech, cyber, retail, the military and education. She began her career serving as a shipboard officer in the U.S. Navy. Leslie graduated from the University of Washington with a Bachelor’s Degree in International Studies. She is a Lean Six Sigma Master Black Belt, a certified Project Management Professional, and serves as a National Baldrige Examiner. Leslie joined the MWCC in 2009, while with Baxter BioScience. She resides in Howard County with her two children. John King is the Continuous Improvement Manager for Northrop Grumman Electronic Systems, responsible for training continuous improvement techniques including LEAN and 6 Sigma processes, and for implementation of large scale improvement projects. John graduated from Georgia Tech with a Bachelors and Masters Degrees in Mechanical Engineering and from Loyola University of Maryland with an Executive MBA. Mr. King is a 6 Sigma Master Black Belt and a licensed Professional Engineer. Mr. King is an industry veteran with over 25 years of experience in manufacturing, operations, supply chain, and quality management in a number of industries including consumer products, automobiles, aerospace, communications, and capital equipment manufacturing. Much of this experience has been in the areas of cost reduction and process improvement. John has made several presentations of the results of his work in process improvement and lead time management at both regional and national conferences. 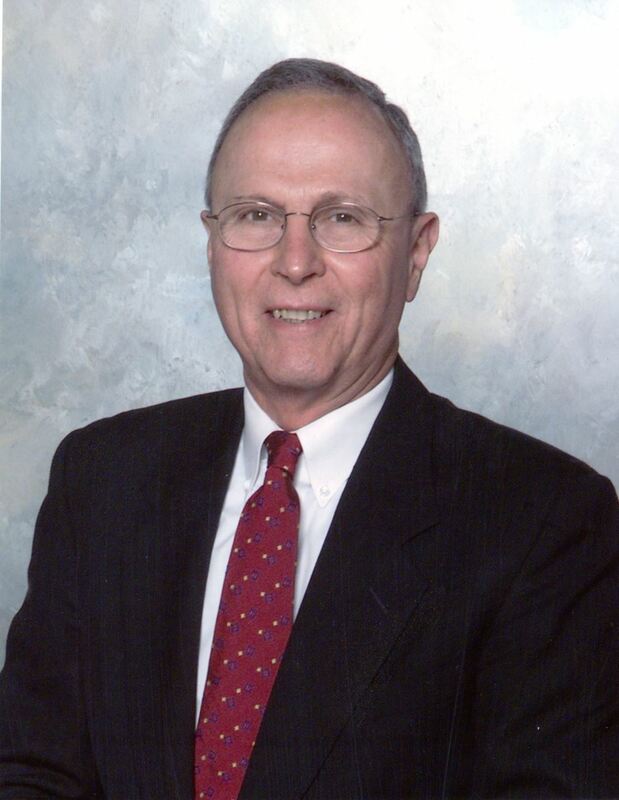 Stan Kos is the Lean Facilitator for ATK Aerospace Systems, Spacecraft System and Services Group. This division of ATK, located in Greenbelt, Maryland, is just minutes away from the NASA Goddard Space Flight Center. After graduating from the University of Maryland, College Park with a Bachelors degree in Electrical Engineering, Stan started his manufacturing career working with space qualified electronics for NASA programs. Over the last 25 years, Stan has been involved with all aspects of manufacturing, including operations management and program management. He has also managed support organizations including machine shop operations, inventory control, property management and logistics. Stan's in-depth knowledge of the ATK business practices coupled with his understanding of Lean principles uniquely positions him to guide the organization on its Lean journey. Many positive results have been achieved while many more are being planned or are underway. Stan has been active with the Consortia since 1998 when ATK (formerly Swales Aerospace) joined the MWCC. He participated in the Consortia's Lean assessment, attended the Leadership Program in 2003 and graduated with the inaugural class of the Lean Facilitator program in 2005/2006. Stan has been a Maryland resident since birth and currently resides in Carroll County with his wife Kelli, son Ben and daughter Rachael. Carl Livesay is the Vice President of Operations for Maryland Thermoform Corporation, an ISO 9001:2015 certified advanced manufacturer serving multiple industries from defense to consumer products. Carl is an advocate for operational excellence and a lean practitioner for nearly thirty years. In addition to his role as Treasurer for MWCC, Carl is appointed by Maryland’s Governor to the Governor's Workforce Development Board as an advisor to Maryland’s Secretary of Labor, Licensing and Regulation, he is appointed by the U.S. Secretary of Commerce to serve on the Maryland District Export Council and he serves on several advisory boards for training organizations across the State. Carl is one of the founders of MDMFG.org and the Maryland Manufacturers COOP. Carl is a passionate supporter of U.S. manufacturing and reshoring initiatives. Shawn’s career as a leader has spanned more than 25 years with the earliest ten being in higher education followed by 16 leading a manufacturing company. In both industries, Shawn lead high levels of growth in sales, revenue, and people. A hallmark of his career has been creating high performing teams as a foundation to highly engaged cultures. Now as the COO for Sonco Worldwide in Beltsville, MD, Shawn is responsible for the operational excellence and culture development for the group of companies owned by Sonco. He has a BS Degree in Business Administration, an MS in Management from Eastern University, and both a Certificate for Advanced Graduate Studies in Leadership Coaching and a Doctorate Degree in Strategic Leadership from Regent University. Shawn consults, trains, and provides leadership-coaching services with an emphasis in leadership development. Leslie Gilbert is the Continuous Improvement Coordinator for Howard County Public Schools, responsible for mentoring system-wide continuous improvement projects, facilitating kaizen events and training staff in continuous improvement techniques and Lean Six Sigma Green Belt classes. Ms. Gilbert has worked in several industries including aerospace, biotech, cyber, retail, the military and education. In aerospace, she worked for AlliedSignal, Honeywell and ITT Corporation in logistics, avionics repair and project management. With Baxter BioScience, she led project management and lean six sigma activities around vaccine manufacturing. She began her career serving as a shipboard officer in the U.S. Navy. Leslie graduated from the University of Washington with a Bachelor’s Degree in International Studies. She is a Lean Six Sigma Master Black Belt and a certified Project Management Professional. Currently, she serves on the American Society of Quality’s Education Team Excellence Recognition Program. Leslie joined the Maryland World Class Consortia in 2009, while with Baxter BioScience. Ms. Gilbert resides in Howard County with her two children. Bryan Goehl is the Vice President of Manufacturing at Gable Signs in Baltimore Md. where he oversees production and leads their Lean / Continuous improvement initiatives throughout the entire company. Bryan has been in the sign industry for the past 17 years and has been with Gable since 2011. Bryan received his B.F.A. from Quincy University in Quincy Illinois. Bryan is also a 2014 graduate of MWCC’s Lean Facilitator Certification Program. He resides in Pasadena Md. with his wife Krista and their three children. Joyce La Padula is currently the Manufacturing Program Manager at the Maryland Department of Business & Economic Development (DBED). Her primary focus is coordination, support and collaboration with industry stakeholders, trade associations, and educational institutions as they relate to the manufacturing industry. Additionally, her mission includes facilitating the creation and growth of partnerships with industry‑facing organizations and associations in Maryland. Ms. La Padula has served with DBED for the past 19 years. In 1998, Joyce began working with the Maryland World Class Consortia (MWCC) ultimately managing the operation as the Program Director. She worked closely with Maryland companies and consortia members in the pursuit of sustainable lean business practices. While with the MWCC, Joyce developed and leveraged relationships across the state and nationally. During her tenure with the DBED, Ms. La Padula served on the executive staff for four cabinet secretaries including James T. Brady, David Edgerley, Christian Johansson and most recently, Dominick Murray. Joyce resides in Harford County with her husband, Vincent, and a very spoiled dog.